Spring is here, and with the cold weather finally on its way out of DC it is a perfect time to get outside and take some photos! 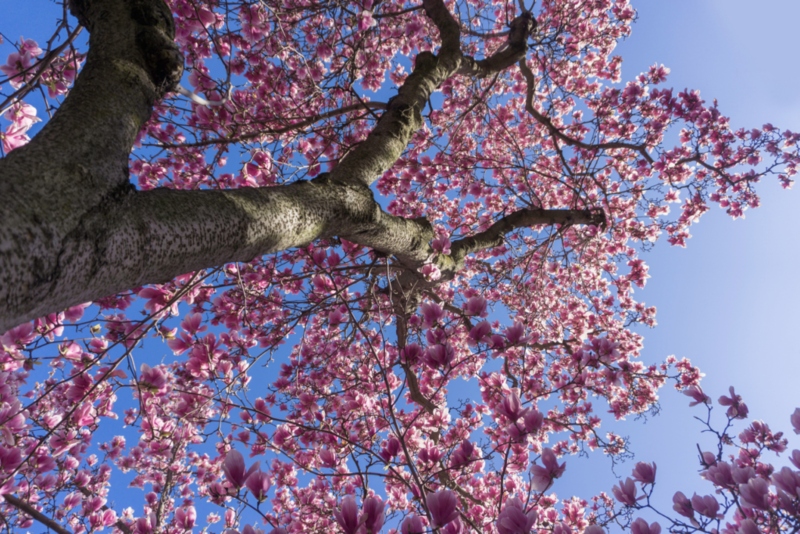 This beautiful image of magnolias was captured by Bekah Richards in Rawlins Park. By taking the photo with an upward angle the solid blue sky remains a consistent backdrop, eliminating any distractions that would take away from the flower’s vibrancy. So, when you are taking photos of nature make sure to try different points of view to make the viewer want to stop and smell the roses or, in this case, magnolias.